Vrooom | Hot damn, Charlotte Ann! It’s February and the car hunt is in full swing. 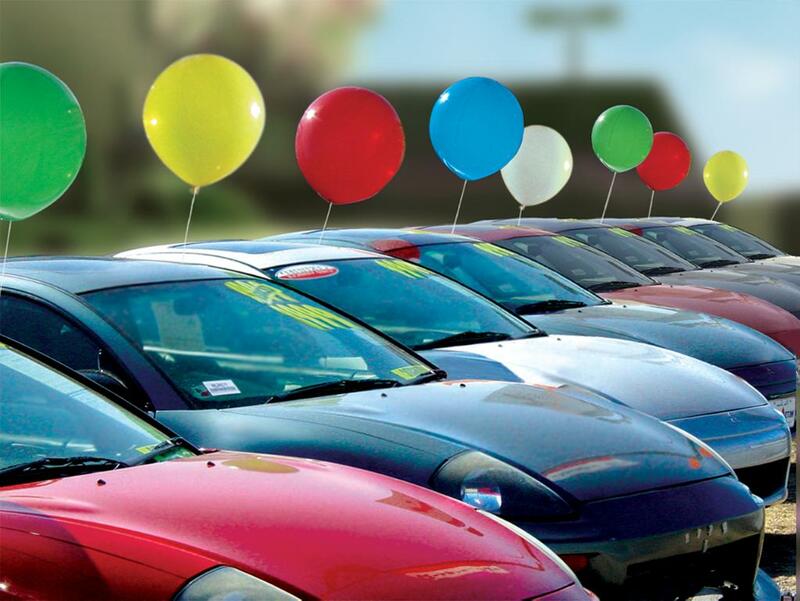 Car shopping is not as easy as it looks, and it’s been incredibly aging for me. That getting a new car makes me feel like barfing instead of drag racing is pretty telling about where I am in life. I made a list of about nine “acceptable” rides and have flung myself into test-drive hell. When you are looking for something to haul kids, bat bags and groceries around in on a set budget, it turns out that they’re all pretty much the same and within a couple thousand dollars of one another. How to pick? I have eliminated the Honda Pilot based solely on the salesman’s halitosis and awful toupee. 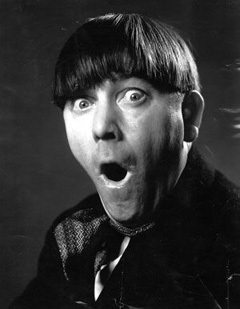 The poor fella must have been around seventy and his head looked like a strawberry blonde version of the Moe Howard. I can’t trust him to put me in the right car when he can’t even find the right piece for himself. Petty? Sure, but I’ve got to start slashing choices somehow. At the start of this whole car search business I was pretty hot to trot for a Subaru. You may not know that our friend Geoff once dubbed me “lesbian cat-nip”. Owning a Subaru would pose a unique problem for me. Butch chicks l-o-v-e me. I don’t know why, but women with buzz cuts, overalls and lotsa piercings find me the moment I step foot outside of Buckhead. Here’s the rub: I don’t know what’s going on in the rest of the country, but in Atlanta, Subaru is the car of choice for Sappho’s minions. 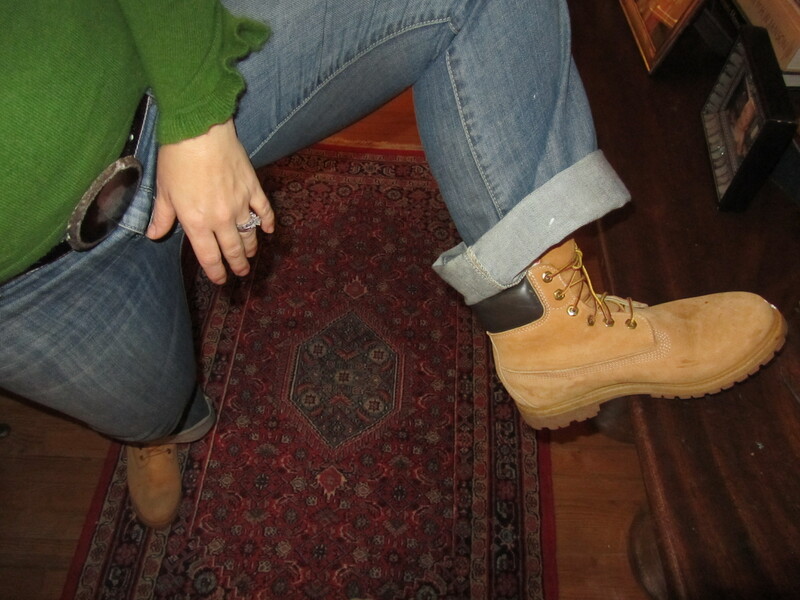 Big Daddy has pointed out that if I were to get the Tribeca that I like, I will never be able to cut my hair, visit Decatur or wear my favorite yard-work boots off property again until the car gets traded out on down the road. I could forget about going to Home Depot on the weekends. Plus, leaving the house fabulous all the time could be a bit of a burden. Sayonara, Subaru. Oh, Subaru! I can't imagine keeping these only to myself! Mirror, mirror on the wall. I am my mother, after all. Okay, I didn’t make that up; I saw it on a needlepoint pillow somewhere. For craps and giggles I checked out a Caddy. It may be my most favorite so far, no lie. This confuses me to no end. And it doesn’t have the third row option that I decided was non-optional. My grandparents drove Cadillacs, I learned to drive in my mother’s Fleetwood Cadillac. This test drive was like coming home. I have pretty much always associated Cadillacs with geriatrics and pimps. Oh, Lord. 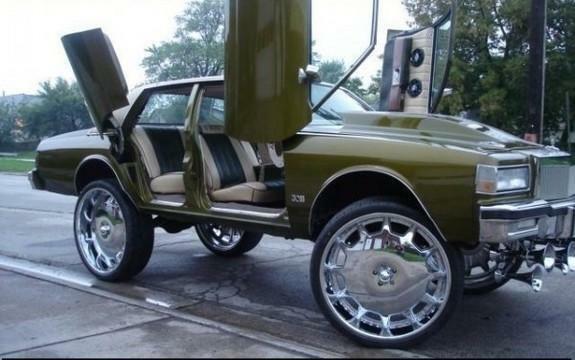 What does this Cadillac lust mean for me? Should I give my hair a blue rinse or start guzzling gin n’ juice? Yeah, but Kenny has a golf cart to kick around in too. So there you have it. Get both a minivan AND a golf cart. Problem solved. Mark loved his Subaru until the day it died. I hated it; the seats made my back hurt. Knowing that you are a native Atlantan, I am proud that you did not mention the often used slang for the Cadillac. Where I grew up they were referred to as – Jew Canoes. It’s for that reason I could never drive one. I too like the Suburu Outack.. so call me butch and call it a day. I totally forgot that Mark had a Subaru (smacking my forehead). Out of curiosity, did your Indigo Girls cds die along with it? Just for the record, I LOVE my Subaru Outback!